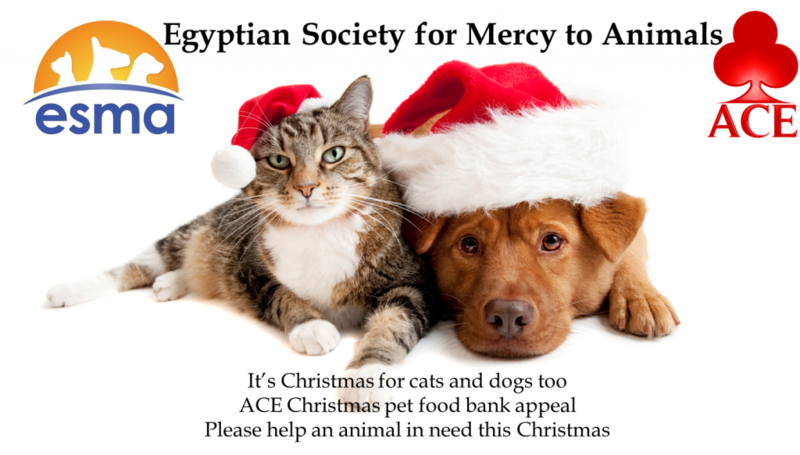 This holiday season we are asking you to support the great work done by the Egyptian Society for Mercy to Animals by donating some pet food to help this very worthy cause. Dried or canned. For cats or dogs. All will be welcomed and bring some festive fun to ESMA’s furry felines and some Christmas cheers to ESMA’s cuddly canines. ESMA animals need food. They also need old blankets, towels, beds, mattresses, pillows and heaters to keep out the cold this winter. If you are clearing out your closets – we will get your recycled items to the ESMA shelter where they will they warmly received. Please put your food donations in the box in the main bar or contact us for information on how you can get household items to animals in need. 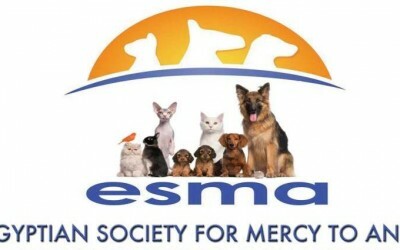 ESMA is a charitable organisation registered in Egypt (No. 3059/2007). ESMA are committed to improving animal welfare in Egypt in all areas of need, including: dogs and cats; donkeys and horses; animals in the Giza zoo; and pet shops. ESMA are located at Villa El Bab El Ali on Sakkara Tourist Road. From Haram (Pyramid Road) or over the Mounib Bridge, take the exit “Sakkara, Badrashin.” Once on the Sakkara tourist road, Maryoteya, reach the Madina Academy building, then take the first right turn. Stay on this road until you reach the end and turn left. Sakkara Country Club will be on your right. The other landmark to look for is the Medina Horse Riding Club just 1km before ESMA. Follow this road and pass three mosques on the left. 100 meters after the third mosque is the entrance to the ESMA shelter. How can you send financial support?